Luke McCaul is determined to learn from the lessons of the past and share that knowledge with the Whitsunday marine community. When Cyclone Debbie crossed the coast at Airlie Beach, the Abell Point Marina manager was ready to implement his internal disaster management plan. But it soon became evident there was a hitch. His plan was developed in isolation and an event of this magnitude needed a whole of region approach. That is why last week Mr McCaul convened a meeting of representatives from not just the local marine industry but insurance and government sectors as well. 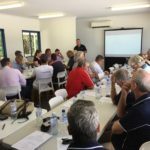 Gathered at the Abell Point Marina were disaster management experts, Ergon Energy personnel, marine surveyors, insurers and representatives from the region’s council, tourism, bareboat and charter boat industry organisations. Together the group thrashed out the challenges an event like Cyclone Debbie brought. Communication issues, death by media, increased insurance premiums, excesses and risks, and the need to remove bureaucratic hurdles in the event of a disaster were all discussed. Three hours later a working group had formed, determined to develop a new marine plan, with the ultimate aim of safeguarding the Whitsundays’ marine assets, recognising both their economic benefit to the region and the unique nature of the marine tourism industry in this boating epicentre on the Australian east coast. Mr McCaul said one of the points that really resonated for him was the need for the region to have a new story to tell – particularly for the insurance industry where Queensland’s disasters of the last 10 years had been etched into corporate memory. “As a region we need to take responsibility for our actions and getting ourselves back to business and hopefully that starts to reduce our risk,” he said. Tourism Whitsundays CEO Craig Turner said especially important for him was the development of a strong communications plan that engaged all operators. “We know what didn’t work last time and if we don’t act on that we’re complicit in not being able to deliver in the next emergency,” he said. Tourism Whitsundays chairman Al Grundy who is also the Vice President of the Whitsunday Charter Boat Industry Association, said while he recognised and respected the council’s local disaster management plan, “it’s clearly evident that the marine industry here is unique”. “That’s why it’s so critical to our economic integrity that we have a dedicated marine plan that is either closely aligned with or becomes a component of the local disaster management plan,” Mr Grundy said. Thrilled with the attendance at the meeting, Mr Grundy also said while he came to it “very concerned” about the potential implications of increased insurance costs or not being able to obtain insurance at all in a worst case future scenario, “with good planning and policy development we can reduce that risk considerably”. “And I think the insurance delegates that were there had their eyes opened to that and the potential for us all to work together,” he said. Maria Dwyer from Oceanic Marine Risks, who was instrumental in bringing many of those delegates to the table, said she could see this model going way beyond the Whitsundays. “This group is determined to meet the challenge of climate change and reduce future losses to marine structures and vessels in North Queensland,” she said. 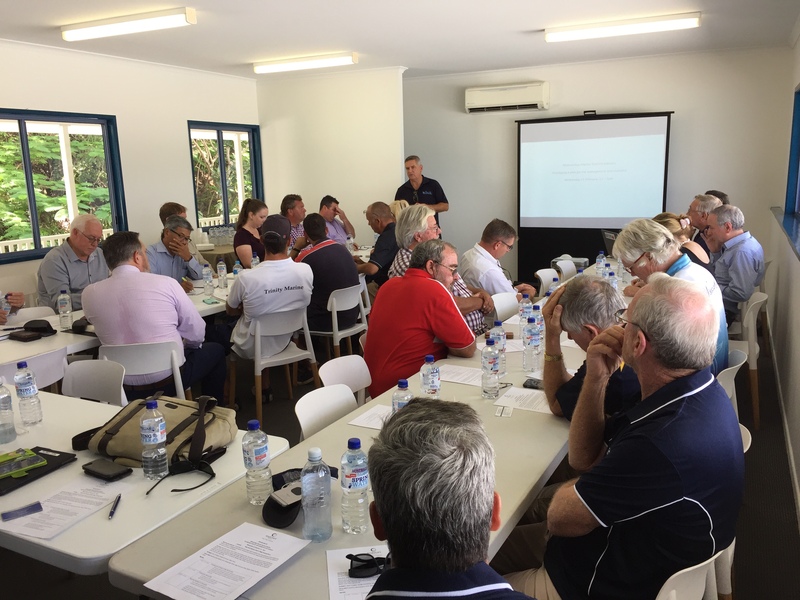 The newly formed Whitsundays Marine Risk Management Group will now focus on key areas of the policy development including communication and education strategies. The group will meet again at the end of May.